The Enhancing Our Heritage Toolkit is the labour of over seven years of site-based ‘learning by doing’efforts and represents an important cooperation of UNESCO World Heritage Centre, IUCN and our partners. It was developed by a small and dedicated team of specialists with the critical and enthusiastic participation of World Heritage site managers from nine properties located around the world. The field-based experience of this group ensured that the Toolkit is rooted in practical realities and the requirements of the end users. We wish to thank these people for their tireless dedication to this major initiative. Natural World Heritage sites, like all protected areas, face many challenges to their integrity which, unless addressed can erode the outstanding universal value for which they were inscribed on the list of World Heritage. 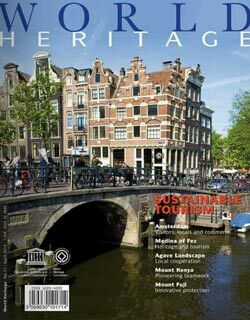 Those responsible for the conservation and management of World Heritage properties have the complex task of anticipating and dealing with these challenges, most often in an environment of limited financial and organizational capacity.1 Under these circumstances, it is incumbent upon them to invest their efforts in the most critical areas, ensuring that available resources are applied to their maximum effectiveness. 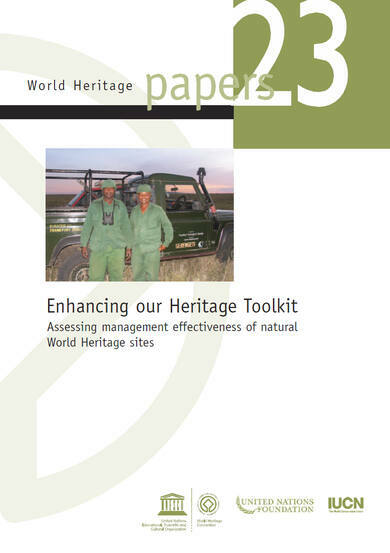 The Enhancing Our Heritage Toolkit contains twelve practical tools, each designed to help those responsible for World Heritage site conservation piece together the elements of a comprehensive management framework, including the construction of targeted monitoring strategies. 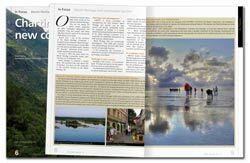 Designed as separate exercises, each with tables and guidelines, the emphasis is on user-friendliness, flexibility, and adaptability to local realities. Although it has been developed with a focus on natural properties, the initiative also has potential value as a tool to assist cultural properties. Two of the nine participating sites were on the List of World Heritage in Danger at the outset of the development of the Toolkit. By the time the project had been completed, both had been removed from the Danger list. Though other factors are involved, the application of these tools in these sites clearly helped managers effectively deal with some of their major management challenges. It is in this spirit that we heartily welcome the Enhancing Our Heritage Toolkit into the ever expanding box of World Heritage site management tools being developed through the World Heritage Convention. Our aim is to help World Heritage site managers and others involved in the management of the highest priority protected areas of the world improve their capacities and reach their management objectives for the benefit of the global community.